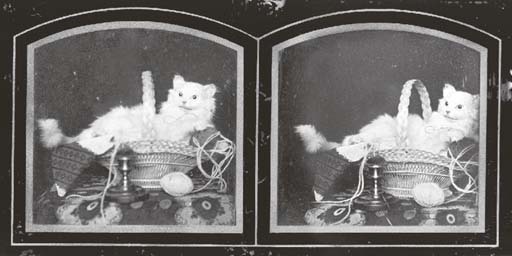 Stereoscopic daguerreotype. 1850s. Red credit stamp DS on the reverse of the backing paper. Arched top, paper passe-partout, gilt borders.